Our route from Santa Barbara took us through lovely towns such as San Luis Obispo, where everything is perfect, farmer’s markets, microbreweries and SUVs rule. Cathal got a surf in at cold Pismo Beach. He was surprised that the water was as cold as Ireland. We drove down the “Big Sur”- a 90 mile stretch of coastline from San Simeon to Carmel without banks, traffic lights or shopping centres…is it really California? And the soundtrack for the trip……The Thrills “Santa Cruz (you’re not that far)” of course! 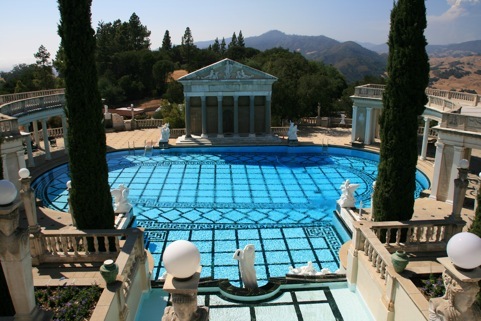 Hearst Castle was one of the first highlights, at the southern end of Big Sur. Built by William Hearst over a long period in the early 1900s on top of a hill overlooking San Simeon Bay, it is truly an imposing piece of architecture. Hearst was the Rupert Murdoch of his day, he owned about 20 newspapers and was in the movie business too. He regularly invited such famous guests as Charlie Chaplin and Winston Churchill to visit for the weekend. We took the “Experience” tour, and were treated to view of the indoor and outdoor pools, enormous rooms filled with Spanish and Italian antiques such as huge tapestries and wooden panelling from churches, a tennis court, a movie theatre and several guest houses. 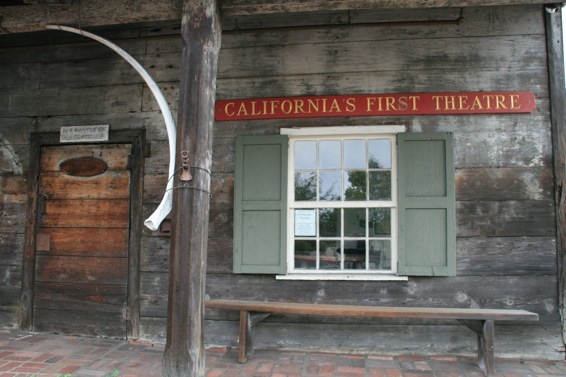 The house and grounds has been given to the State of California. 50 people take the experience tour every 10 minutes from 9am to 3.20pm – you do the maths! Most of the Big Sur coastline was unfortunately shrouded in a coastal fog that plagues the coast at this time of year. It didn’t detract from Cathal’s enthusiastic photo taking however! The fog is in fact necessary for the coastal forest to grow, including the famous pines. The cliffs and crashing waves nevertheless looked quite imposing. 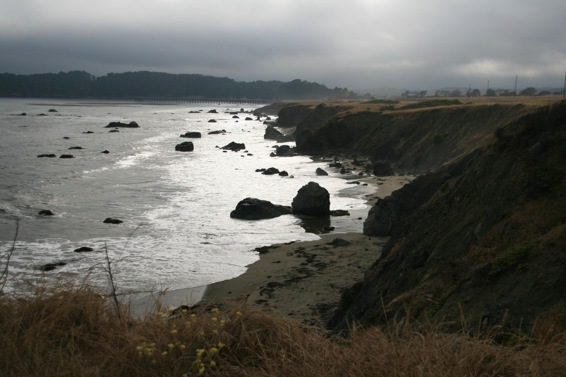 We were unlucky to hit this popular stretch of coast on a Saturday nigh, and found that all the campsites were full with weekending Americans. A recommendation from a ranger took us an hour up a windy road into the Ventana wilderness, where we found a small backpacker campsite. The view into the valley from there was unbelievable – usually you have to hike far into the wilderness for such views, here we just drove up! We were not very prepared, and had no food with us for the night here. The bottle of wine given to us by Bill at Foxen Vineyard came in very handy – a couple of glasses of the white Viognier were shared with two other campers, Randy and Steven, in exchange for some roast chicken and salad. It was Father’s day the next day, a day taken very seriously by Californians – we met these Dad’s having a boozy lads day out! Father’s day Californian Style – not a kid in sight – a day for the lads! Monterey proved a gem – if a little cold. The campground was a mile from downtown, which was great. 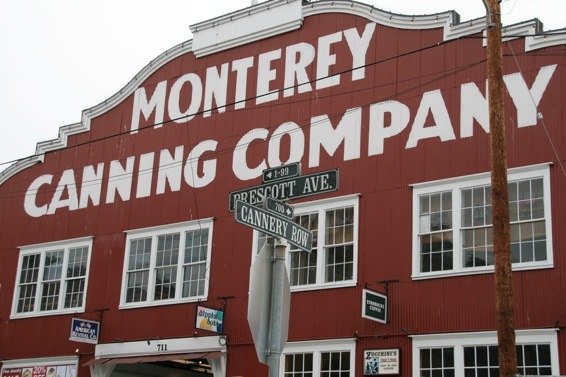 Monterey is beautifully preserved, and has many fine old buildings linked by a “Path of History” around the town. It was the Sardine capital from the 1930s to 1950s, the setting for John Steinbeck’s book Cannery Row. The old canning factory area has been turned into tourist central, managing to avoid being tacky. A highlight here was the amazing Aquarium, which was filled with the acquatic delights of the surrounding Pacific Ocean. Two double height aquariums were filled with sharks (reef, hammerhead and others), manta and eagle rays and huge tuna. Sea otters were a big hit, flying around their pool like pre-historic flashes of silver. Another hit was the jellyfish area, totally amazing. Everyone, from 2 years to 92 years, was mesmorised. Any trip to Monterey Bay would not be complete without a trip along the 17 Mile Drive. This coastal drive is on land owned by the Pebble Beach company, famous for its world class golf courses, including one of the only links of its kind in the States. The drive was indeed beautiful, but remarkable similar to the coast of Connemara, right down to the coral beach outside Clifden! We started the drive shrouded in fog, but miraculously, just as we stopped to check out the famous Lone Cypress, the sky cleared and we understood why this coastline is so revered! We visited the 19th hole of Pebble Beach, an amazing hotel overlooking the final green and a beautiful bay. The route finished at Carmel, which is probably the most perfect town in all of California – and not surprisingly one of the wealthiest. Houses here have no street numbers for some reason. From here we moved north through “Artichoke country” and Moss Landing to Santa Cruz. Santa Cruz is where hippie San Fran comes on holidays, where the political mindset is socialist-feminist, and where surfers, punks, students and buskers fill the streets. Indeed on arrival downtown, there was an eclectic mix of drunk/stoned people strumming guitars, singing and dancing in looping circles outside the local all-natural supermarket. I’ve never seen so many brands of hummus in one place. In fact, we spent very little time in Santa Cruz, having found the charming seaside town of Capitola, right beside our campgrounds at New Brighton Beach. A chance find, en route to the launderette, Capitola is quite a gem. 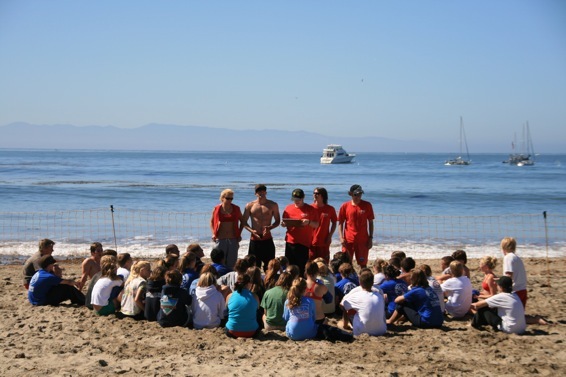 We had coffee overlooking the beach, which was teeming with Junior Lifeguard – about 300 kids in red swim gear being put through their paces. A chance encounter with the lovely Tammy, who had an Irish reg plate inside her electric “surf buggy” led to meeting the surfing community of the town. We got to hang out at dawn with the longboarders, drink coffee while waiting for the tide to come in, and then get out on borrowed boards. I, despite initial hesitation, caught the waves of my life. Cathal of course had a ball. An offer of accommodation from Tom Leahy, another of the surfers, may be taken up another time! All the way up the coast we stayed in some fantastic campsites. Pismo Beach State Campsite was right on the beach, allowing for lovely evening runs and access to the surf up the road for Cathal – though the cold water was a bit of a shock after the bath-like temperatures of Salvador and Nicaragua. San Simeon Campground was a last minute choice, right by Hearst Castle, and for 15 dollars we secured our site – and enjoyed a few beers around a campfire with our site neighbours. The most magnificent campground was at New Brighton Beach, outside Capitola. A nod and a wink from the Irish-loving ranger got us a fantastic site on the bluff overlooking the beach. Our tent as usual looked totally ridiculously small in the huge site, beside all the RVs and mansion-tents, but we enjoyed a beautiful moonlit night listening to the waves crashing. The next night we were told it was full, but we snuck back in after dark and secured a site on the “hike and bike” section – after seeing that the site from the previous night was still empty.